There are many reasons a company will hire a person, the top two are: (1) the candidate fills an employer’s immediate need and (2) they have the character that will thrive in the corporate culture. When it comes to making a hiring decision, many factors are simply beyond your control. The interview is clearly not one of them. You may be surprised how many people are unprepared when they interview. Never enter an interview without rehearsal; trying to “wing it” only makes you seem less competent than you may actually be. 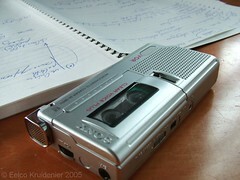 Practice with a friend, in the mirror or record yourself with a camcorder; any practice will help you perform better. Have a list of the important issues about the job. You are trying to fill an organization’s need, so focus less on yourself and more on how your skills can benefit the organization. This is done with a combination of closely following the job description and a little research into the company. This may be obvious, but it is so critical the process, it bears repeating. Being late to an interview—for any number of reasons—is one of the quickest ways to derail your chances. If you have no choice, then call the office and try to reschedule—being late will reflect poorly on you and your organizational skills. Wasting an interviewer’s time rarely results in a job offer. Show, don’t sell, your communication skills. You may talk a good game, but it is just that—talk. Prove yourself by communicating effectively, clearly and concisely. The best way to “sell” your skills is demonstrating them real-time, by being organized and professional. Never ramble or go off on tangents—stay focused on what you can do for the company once you are hired. Look the interviewer directly in the eyes, but don’t make it a staring contest. Take notes and be agreeable. Have some questions prepared—at least three or four of them. If you do your homework, you will be far above the average job seeker. Send an email to the interviewer. Better yet, go “old school” and post a handwritten thank you note. Remind them of the highlights of the interview, or some details you may have forgotten at the time. Taking the time to hit the basics–the “simple stupid” interview tips–can make you appear confident, poised and professional, the type of person anyone wants to hire. One last point: always make sure you have references lined up, so you can turn over a list immediately when asked.